Tiny Planet Id was once the home base for the Quaaflax Alliance's top special tactics team until it became their graveyard during a Gy Djin terrorist assault. Then it hit. Out of nowhere came a freak cosmic storm, lighting up Planet Id like a supernova, creating a new life form: heavy-metal fighting machines which came to be known as CyberGladiators. Meanwhile off in a far corner of the galaxy, the errant storm continued its path of destruction and slamming DungeonStar, a deep-space prison built to cage the galaxy's most notorious criminals, transforming the prisoners into a truly evil band of CyberGladiators. They emerged from the smoldering rubble with only one thing on their minds: revenge for their years spent behind bars. In one-player war mode, play as one of the four Alliance fighters or one of the four Gy Djin thugs and pound your opponent into smoldering pieces of rubble using any means possible, beating fighter after fighter until you confront the boss of either side. Beware though, winning a match against your opponent's most powerful gladiator is no easy task. Take him out, however, and you not only win the game, you win the right to fight as that Boss, but only if you used none of the five continues and didn't set your own strength to high. Alternatively, challenge a friend in a two-player battle. 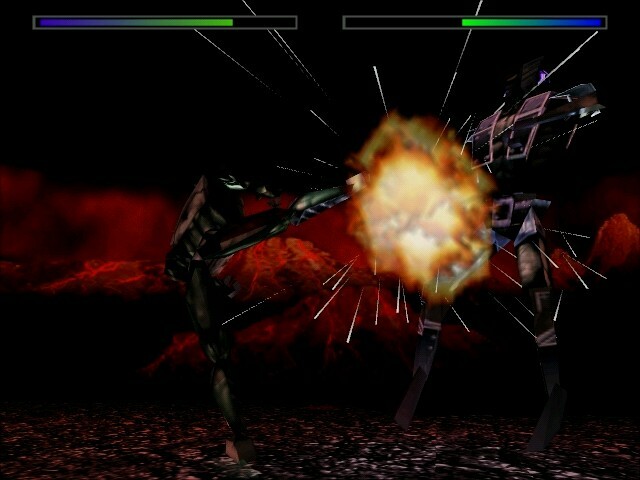 Each player has a set of basic moves and his own set of special moves. Practice with each player to master all of his or her moves! Also objects like boulders and spears can be thrown at the opponent, depending in which of the ten arenas you are fighting. Some differences with other fighting games (like Streetfighter 2 or Mortal Kombat) are that the game changes into sudden death mode when the timer runs out and that you can fall off the map. 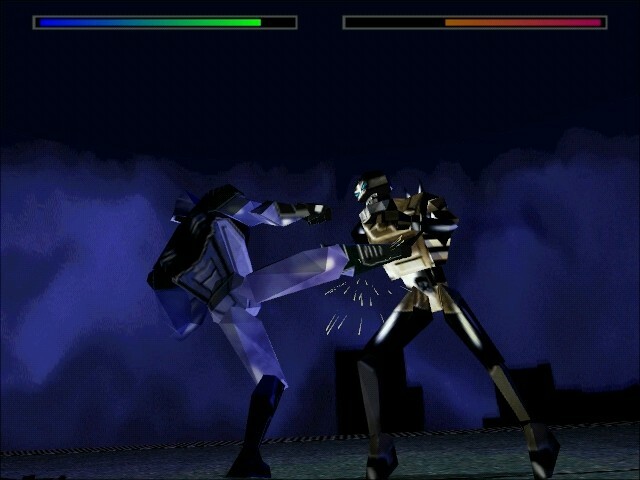 Released in late 96, CyberGladiators is the second title of Dynamix' K.A.A. series, with Hunter Hunted being the other title. No other titles were made for the series though it is unclear why the series ended there. 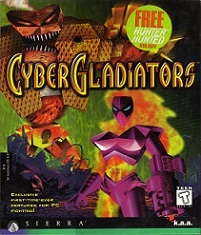 CyberGladiators was only released for the PC.